I’m a sucker for succulents! 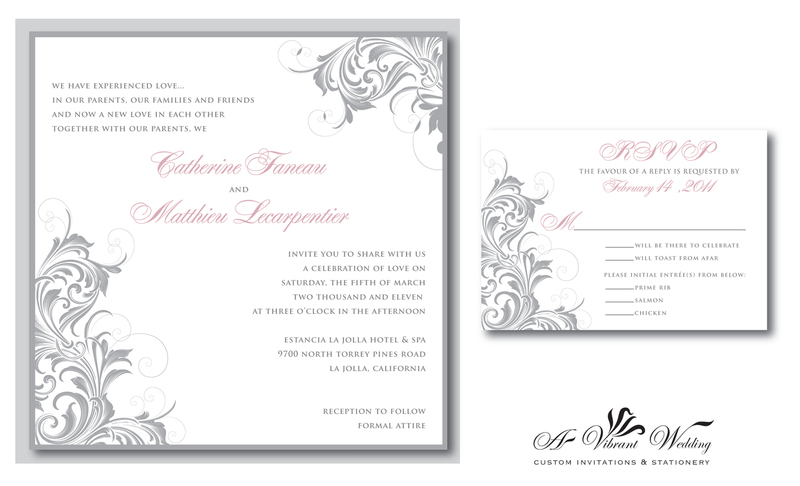 How perfect is this floral succulent invitation design paired with grey and blush pink tones. Perfect combination for that rustic Spring or Summer wedding. 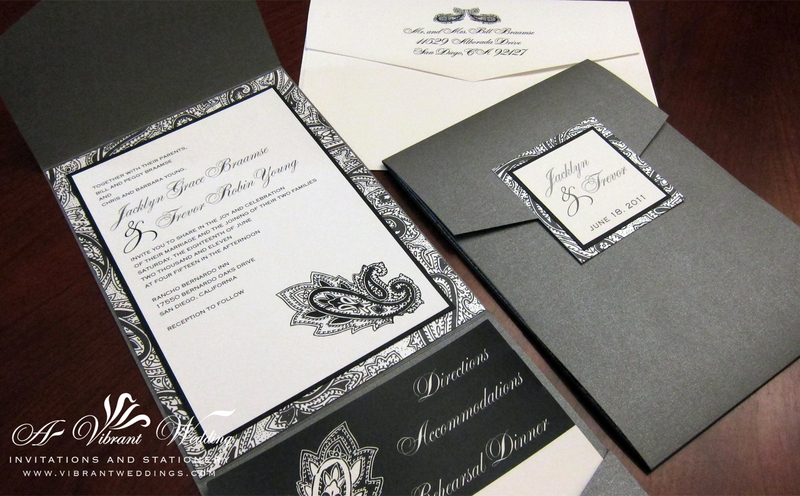 This custom invitation is printed on our grey tree-bark textured 5×7” Gate-fold style invitation suite. 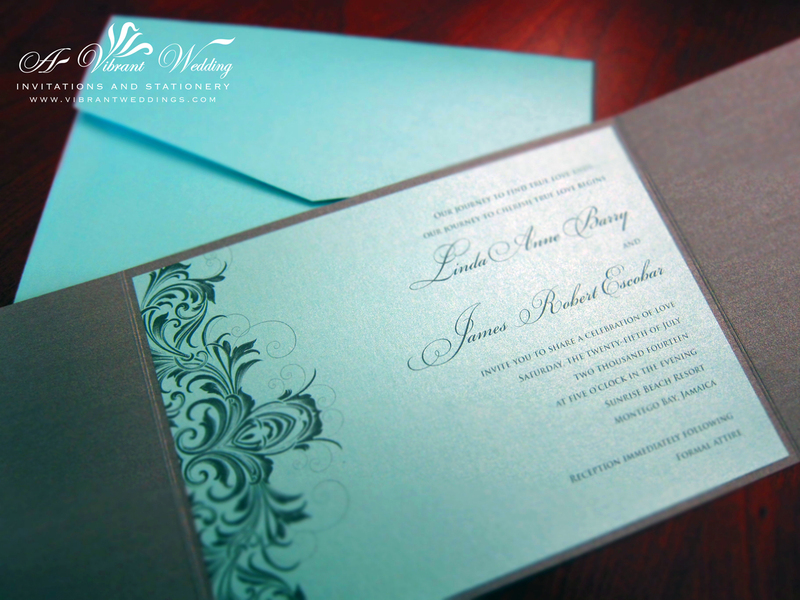 Custom invitations for all special occasions by A Vibrant Wedding. $10.00 per invitation suite for a set of 100 invitations. Fully assembled. 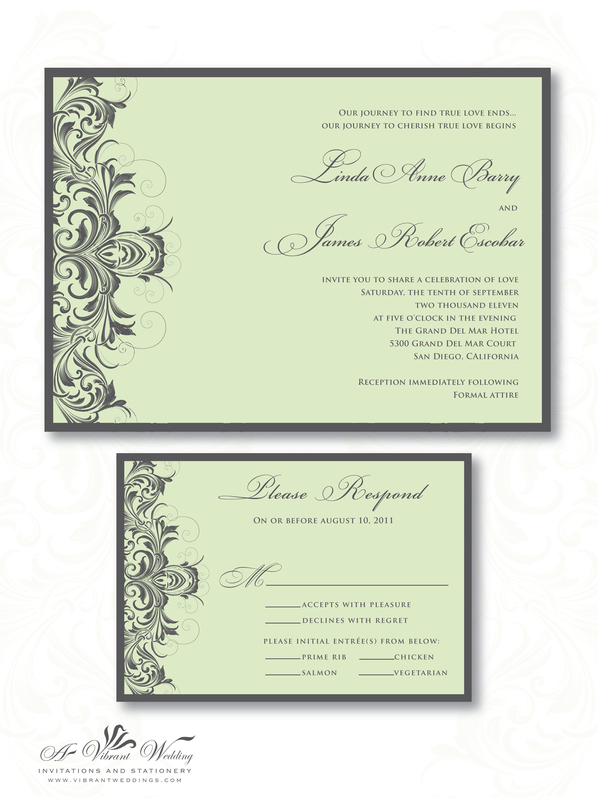 Included are 5×7″ Pocketfold invitation, Response card, and two blank matte linen envelopes (White). 5×7″ Pocket fold style with outer seal. A combination of metallic shimmery card stock paper and matte card stock. Triple layered invitation (3 sheets of paper assembled together). $5.00 per invitation suite for a set of 100 invitations. 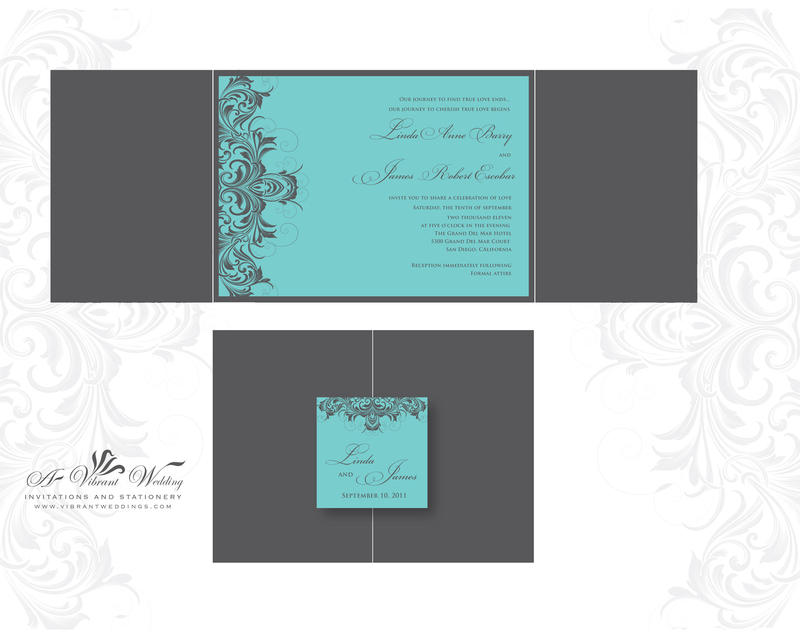 Included are response card, outer square seal, and two blank metallic envelopes (Tiffany Blue). 5×7″ Double-layered Gatefold style invitation. All on metallic shimmery card stock paper. Double-layered invitation (2 sheets of paper assembled together). $5.00 per invitation suite for a set of 100 invitations. Included are Response card, and two blank metallic envelopes (Silver). 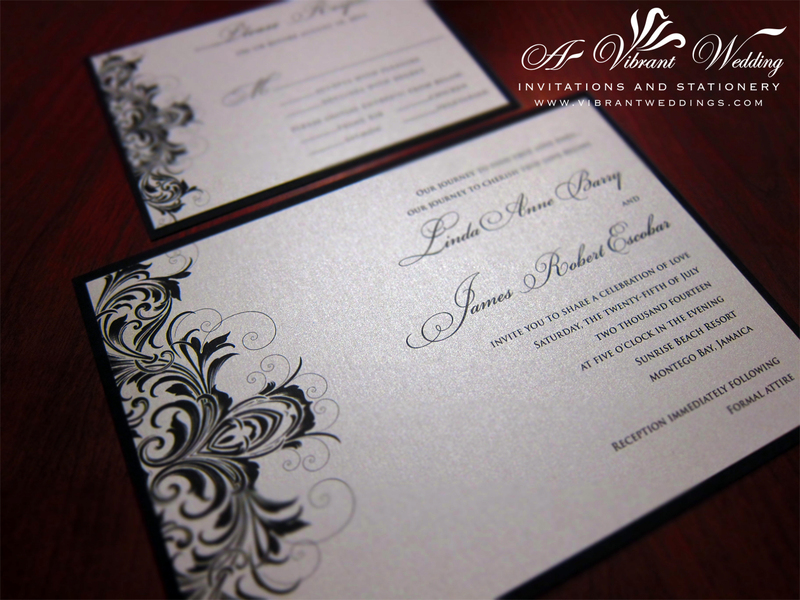 5×7″ Double-layered flat style invitation. All on metallic shimmery card stock paper. Double-layered invitation (2 sheets of paper assembled together). To view our extensive portfolio or to customize your own, please go to www.VibrantWeddings.com or contact us at (619) 852-6886/ avibrantwedding@gmail.com. $6.00 per invitation suite for a set of 100 invitations. 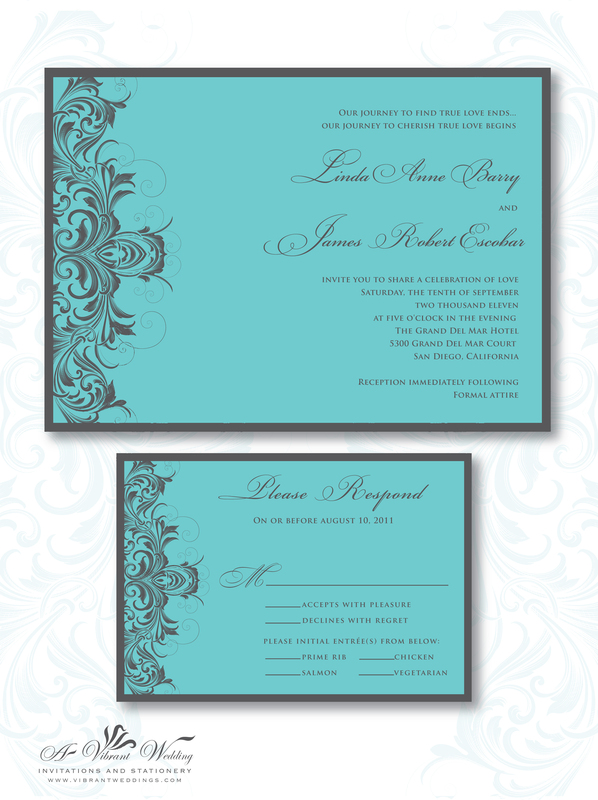 Included are a 7×7″ triple-layered flat style invitation, single-layered 3.5×5″ RSVP card, and two blank matte envelopes.